​Winning in such dramatic circumstances was certainly not ideal, but it puts ​Liverpool back at the top of the ​Premier League table and, according to Klopp, that's all that currently matters. "I said to the lads there are 500 ways to win a football game and today was slightly ugly," he told ​Sky Sports. "Who cares in the end? Who cares? That's the situation. 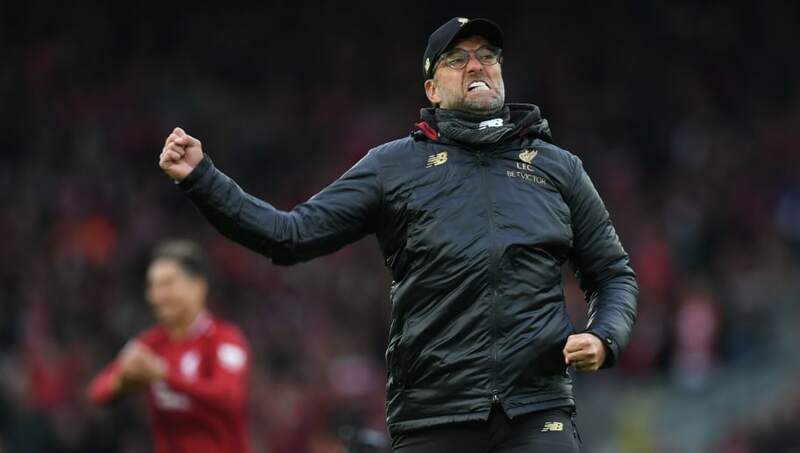 Liverpool's title rivals ​Manchester City play their game in hand against Cardiff on Wednesday and Klopp went on to add that his side need to perform to the highest level to ensure they keep pace with the Citizens. "We compete with the best team in the world, in Man City, and we play in the competition against one of the best teams in the world in ​Tottenham. It is a tough task I would say.